"The Northbay's Non-Litigious Divorce Specialist Since 2009"
Deal with all your joint credit card accounts. Sometimes these accounts are closed. Sometimes one Party removes themselves from the account if possible. Joint accounts and contents should be distributed according to the agreement. After your agreement, some personal property may need to be delivered or picked up that is meant to change hands pursuant to your agreement. If the agreement does not detail how the exchanges are to take place, you will need to make arrangements with your former spouse with the same respect and notice as you would a transaction with a complete stranger. If any deeds are required under the agreement, make sure they are correctly executed and recorded. -Property held in one name to remain in that name: quitclaim deed form with the other person waiving all interest in the property. -Property held in both names (jointly) that will be assigned to one name: interspousal transfer deed conveying one person’s interest to the other. -When property previously held jointly or as community property is joint to be sold or held together for a time, you may change the title so that after the agreement is signed the joint owners now own their shares of the property separately as tenants in common: grant deeds will convey it to yourselves in the new form of ownership. Pension Plans or Retirement Funds QDROs. Follow through with the appropriate stipulated order (QDRO) for a tax-free transfer of community property interest and, if needed, a joinder of a pension plan to the plan administrator. After the judgment, check the named beneficiaries on all funds, plans, insurance policies and account. A dissolution does not typically remove a spouse as a beneficiary of insurance policies on the life of the other spouse. Be sure to contact your insurance carrier and discuss your beneficiaries after a dissolution. Review all wills and trusts, and modify or recreate them with the appropriate professional assistance. Partnership interests may be transferred and K-1 forms completed. If your divorce decree will be granted in the following calendar year that your divorce petition was filed, make plans with your ex-spouse regarding your tax filing strategy for the tax year that you are still married. Review Financial Planning. Often, one partner within the marriage handles the financial responsibilities. In many cases one spouse has the primary relationship with the financial advisors that have been serving the marital finances. You may want to consider interviewing other financial service providers to find someone you feel comfortable with. Children’s Belongings. Children’s clothing and personal belongings are more difficult to separate than you might think. You may need to purchase extra clothing as well as furniture so the lifestyle transition is as easy as possible for the children. Textbooks/Homework and School Supplies. Some items cannot be duplicated at each household. Parents must work together to ensure that school supplies are packed for every transition. Often times one parent is more familiarized with doing homework with the children. Both parents should learn how to take time with the kids, and be available to assist with homework. Computers are often purchased by one parent or the other to augment the new household. Parenting Classes and Tutoring may be a consideration for parents who have not played an active role in the primary caregiving of the children. This includes everything from laundry, to food preparation, to laying out clothes and packing lunches. The new level of responsibility can be overwhelming to the non-primary caregiving parent, however it can also be an opportunity for enhanced participation in the children's lives. Calendaring. A shared online calendar is an excellent way to keep up to date on important events and/or family planning changes that often come up throughout the year. *GDC and its agents are not attorneys. No information provided on this website is intended as legal advice or counsel for a divorce or any matter, and should not be construed as such. Accordingly, the information on this site is provided with the understanding that the authors and publishers are not herein engaged in rendering legal, accounting, financial, tax, or other professional advice and services. As such, it should not be used as a substitute for consultation with professional accounting, tax, legal, financial or other competent advisers. In no event will Go Divorce Clinic, its related partnerships or corporations, or the partners, agents or employees thereof be liable to you or anyone else for any decision made or action taken in reliance on the information presented in this site, or for any consequential, special or similar damages. GDC is a member in good standing with CALDA. CALDA promotes industry professionalism and enforces stringent ethical standards within the legal document preparation field for independent paralegals. CALDA requires continuing education for it's members and ensures that the industry conforms to the statutory parameters in which LDA's are designed to serve the public for legal document services. CALDA also promotes, and supports its members in good standing. GDC is a Sonoma County registered LDA (Legal Document Assistant # 40), providing professional divorce services and legal document preparation for self-represented divorcing couples in Sonoma County, Marin County, Napa County, Mendocino County, Lake County, and the entire State of California. GDC is an accredited business registered with the Better Business Bureau, Golden Gate Chapter. The Better Business Bureau is a nationwide organization founded in 1912, and has become an American icon of business credibility. No business can remain accredited by the BBC unless they are operating consistently at a very high ethical standard in their field, and have established and maintained a positive track record in the marketplace. GDC's strong history of ethical responsiveness, commitment to full integrity, and outstanding professionalism in the field of uncontested divorce services, make it a model member of Northern California's chapter of the Better Business Bureau, serving cities from San Rafael to Ukiah, and Fort Bragg to Calistoga. GDC first joined Santa Rosa Chamber in 2011. GDC is a member in good standing of the Santa Rosa Chamber. The Chamber promotes and endorses community-focused businesses of proven integrity that stimulate the local economy through active community involvement and participation. GDC supports business accountability through ongoing local peer review, that is the hallmark of the Chamber's function. 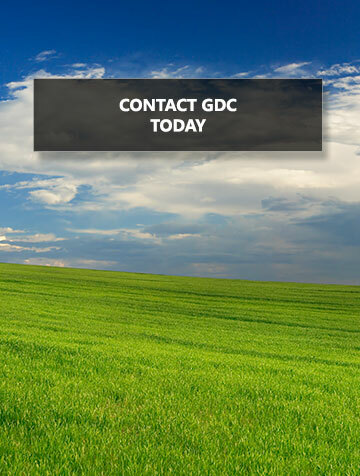 GDC is listed as a Sonoma County divorce mediation and divorce self-help service provider. Though our main office is centrally located in Santa Rosa, GDC routinely services divorcing couples from Petaluma, Sonoma, Rohnert Park, Sebastopol, Cotati, Forestville, Guerneville, Occidental, Windsor, Healdsburg, Geyserville, Kenwood, Glen Ellen and Cloverdale. Robert Revel LDA, is not an attorney, Go Divorce Clinic is not a law firm, and we do not provide the legal services understood as "practicing law" that an attorney performs. We do not provide representation in Court, render any kind of legal advice or recommendation about possible legal action. We do not suggest or offer legal remedies, defenses, or strategies. We do not select California State published legal forms for you, but we will prepare legal documents at your specific direction. The State of California requires that we advise you that while Go Divorce Clinic is registered with Sonoma County to lawfully perform Legal Document Assistance pursuant to the requirements of California Business and Professional Code §6450, the County Clerk does not evaluated or approve of the knowledge, experience, or quality of its registrants.